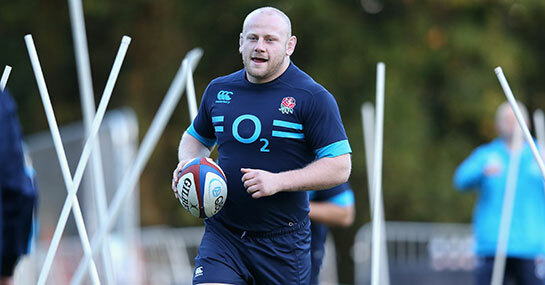 England’s hopes of winning the Six Nations title have taken a hit with the news Dan Cole will miss the rest of the tournament through injury. The 26-year-old Leicester forward has been diagnosed with a bulging disc in his neck and will now miss crucial matches for both club and country. It leaves Stuart Lancaster’s side, who are 11/4 with Ladbrokes to win the championship, with just David Wilson and Henry Thomas as tight-head options for the crunch game against Grand Slam chasing Ireland. “It’s massively disappointing for Dan, Leicester and England,” said Lancaster. Cole has been one of the mainstays of the England side since making his debut in the Six Nations clash with Wales back in 2010. The front row forward has made 45 appearances for his country and had started in both the 26-24 defeat to France and the 20-0 victory over Scotland this campaign. Lancaster’s charges are 8/15 favourites for victory over Ireland but without Cole’s scrummaging prowess against a strong Irish pack their task could be made even more difficult. With Wilson lacking match practice following an injury lay-off and Thomas, who has made just three appearances from the bench for England, both vying for a starting spot, Ireland, who are 13/8 to keep their Grand Slam dream alive, could target the scrum to gain an advantage in the match. Leicester, who are the 33/1 outsiders for European Cup glory, are also set to be hurt by Cole’s absence with the prop potentially missing his side’s Heineken Cup quarter-final with Clermont Auvergne. With the odds already stacked against Richard Cockerill’s side – the Tigers are 5/1 for victory in France – the England international’s possible absence has dented their chances of ending Clermont’s incredible unbeaten home record.